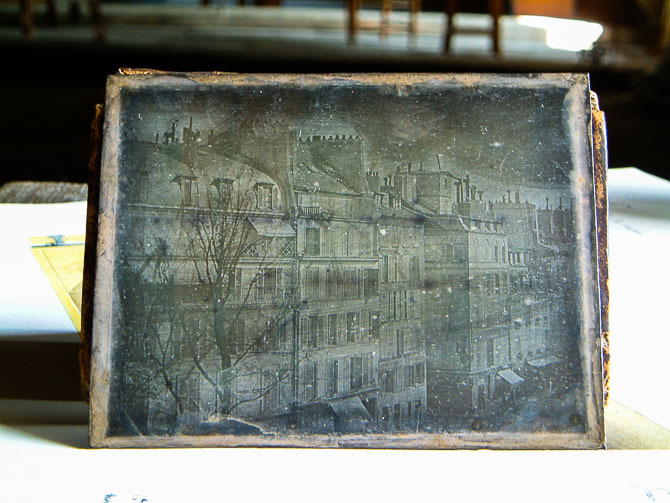 Within the framework of research on the origins of photography, one of Daguerre’s first views of Paris was presented: the very image that allowed him to get the official acknowledgement of the invention of the daguerreotype by the Académie des Sciences. Daguerre offered this daguerreotype to Arago, the perpetual secretary of the Académie des Sciences and a representative of the Pyrénées Orientales, who then donated it to the Musée Hyacynthe Rigaud in Perpignan, where it is still located. 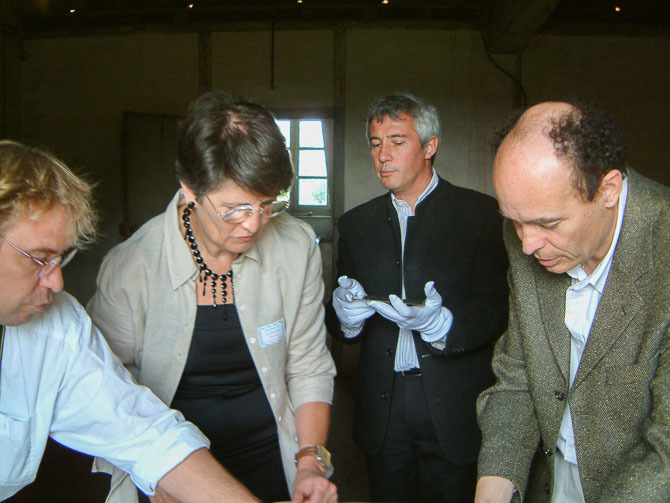 We are much obliged to Madame Marie-Claude Valaison, head curator at the Musée Hyacynthe Rigaud, who lent the Niépce House this daguerreotype for the National Heritage Days.